Whew. The blog is finally back to some semblance of order, but that background is probably too busy. It’s from the block of the month project. I like the color scheme though…and the widgets fit again finally! Peanut has gone back to school (thank GOD–we need schedules around here). The dogs are back to lounging on the couch all day. Wait a minute…that’s all they do anyway. Volleyball is about to start up again (my waistline applauds). Now if we could just skip January and February, I’d be tickled pink. 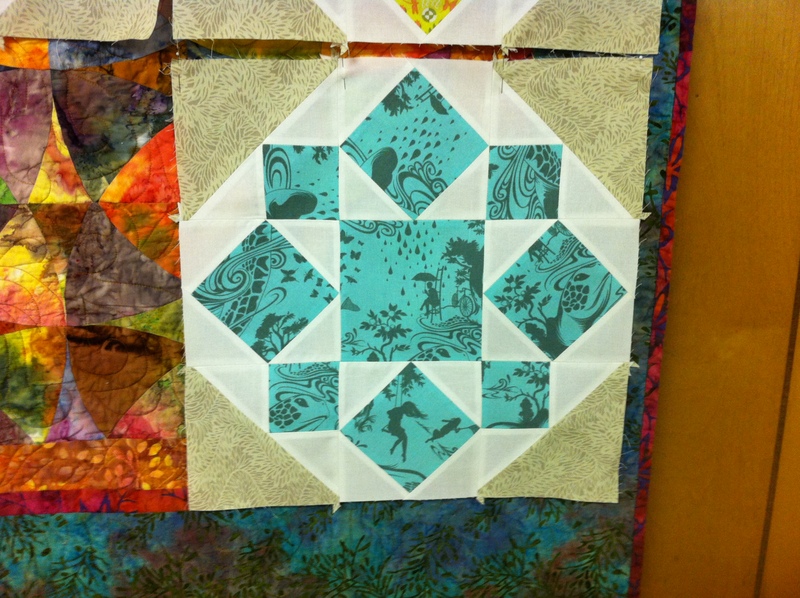 I’m continuing to crank away at my Prince Charming quilt. 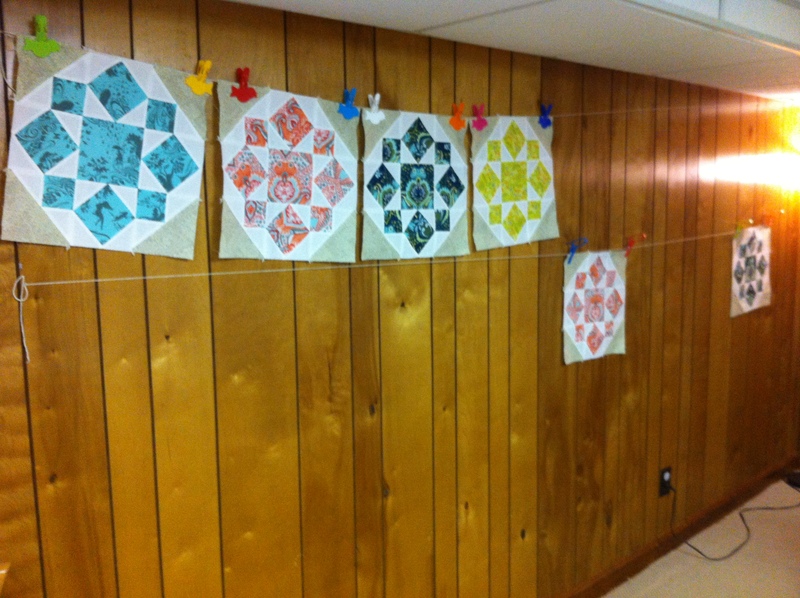 I set up two clotheslines against the wall and used the bird clothespins that Bam gave me to attach the blocks. It’s a much better way for me to keep them from getting wrinkled. 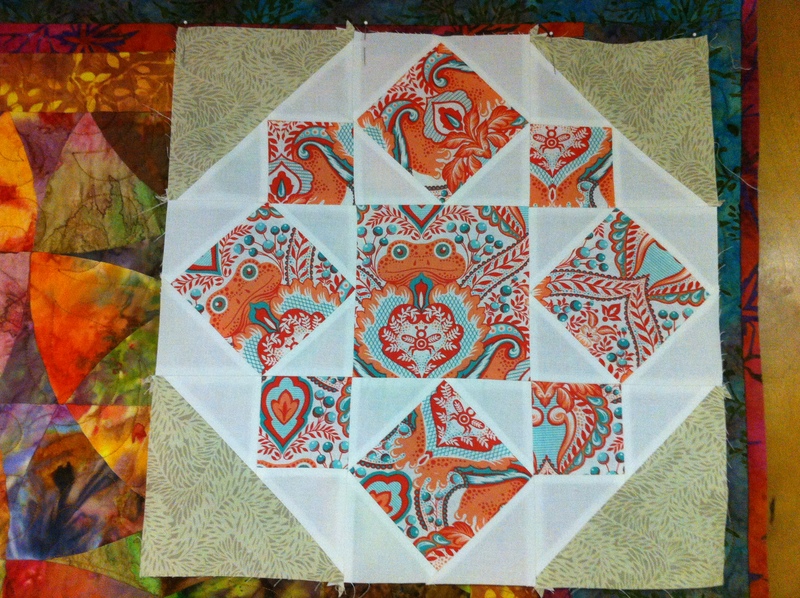 And it’s easier than unpinning them from my other quilt. On a side note, I must thank the USA Network for having a Law & Order SVU marathon. It’s one of my favorite shows and they cherry picked the best episodes, many of which I had never seen, surprisingly enough. 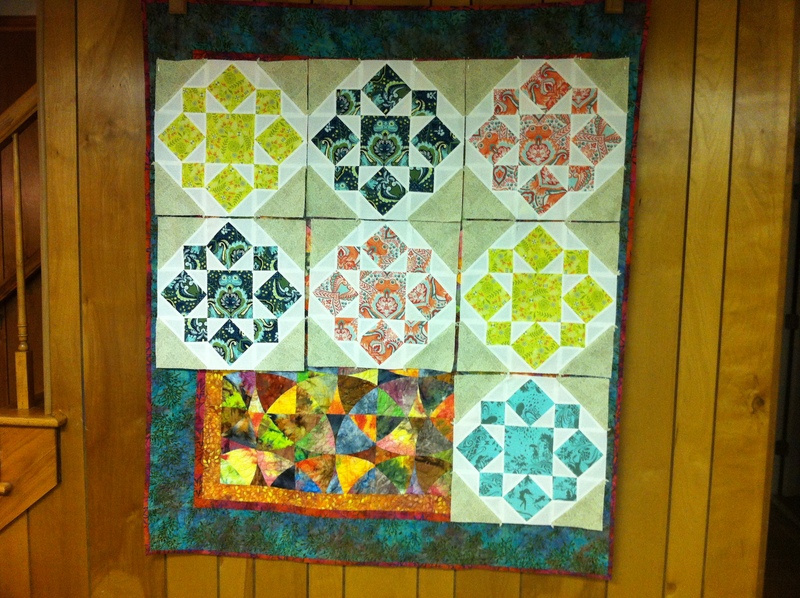 It kept me occupied through many quilting hours. The other bonus to my clothesline? Covering up the HIDEOUS wood paneling in my basement. This entry was posted in Quilt, Quilt blocks, Quilting, Tula Pink and tagged Law & Order SVU, Prince Charming, quilt, quilt blocks, quilting, Tula Pink, USA Network. Bookmark the permalink.